The Chef has been hard at work creating Extra-Special Treats to fill your Easter Baskets this season. We have something for everyone, whether you're a grown-up, a kid, or just a kid at heart! 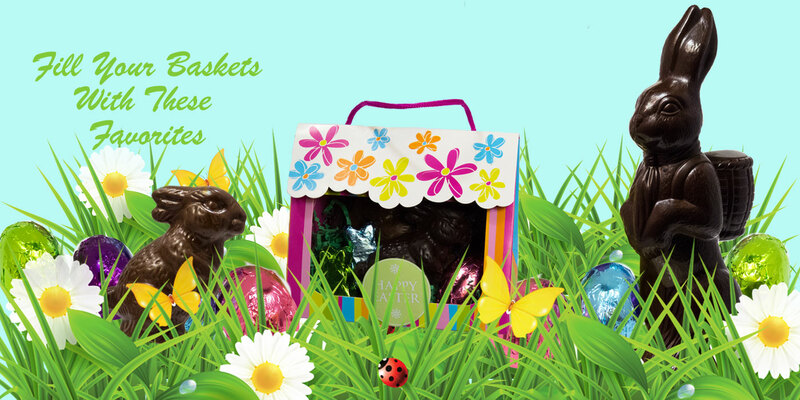 Check out our 1-1/2 pound solid Dark Chocolate Hand-Decorated Bunnies, or, our Chocolate covered marshmallows. Maybe, you enjoy a little chocolate with your Peanut butter, try our peanut butter bunnies.